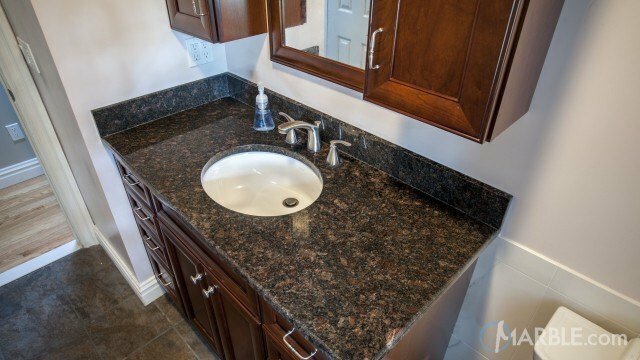 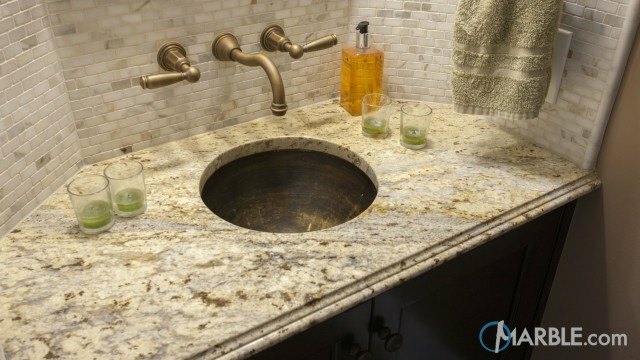 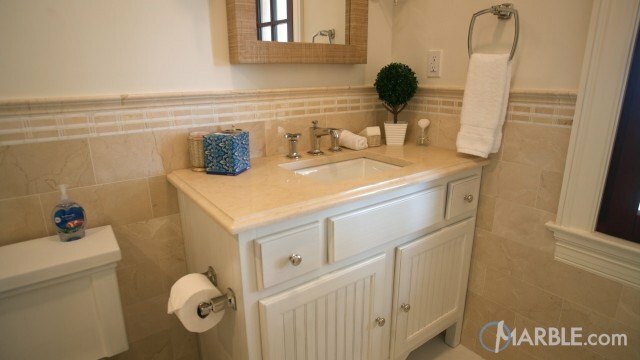 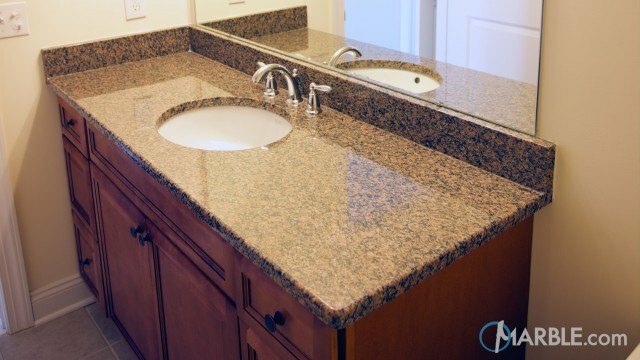 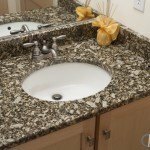 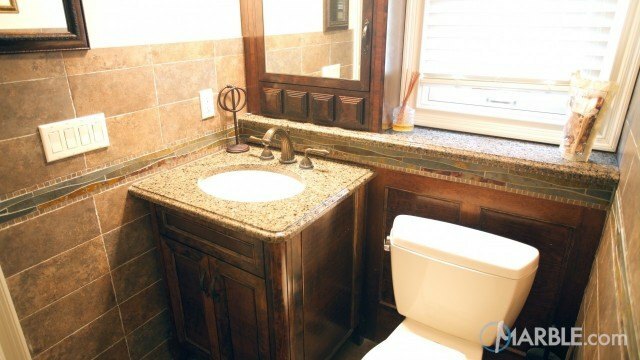 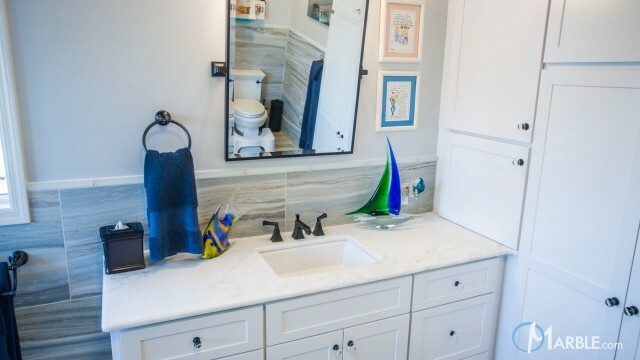 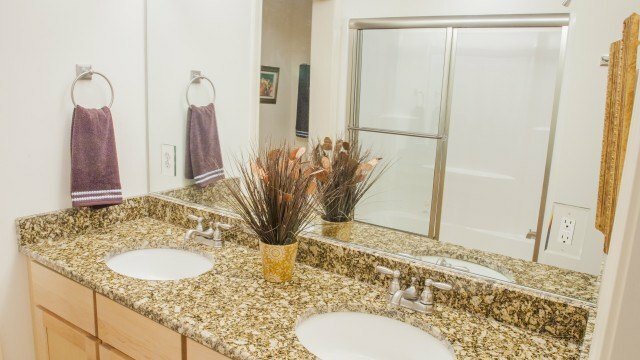 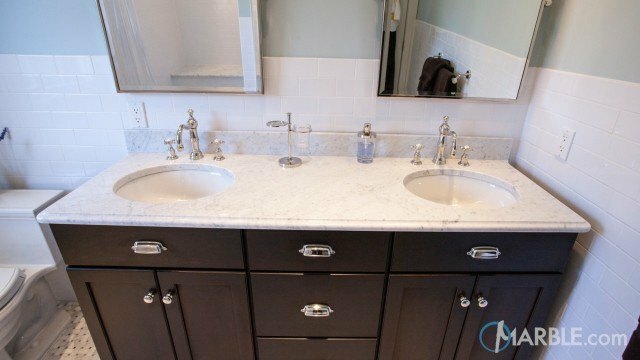 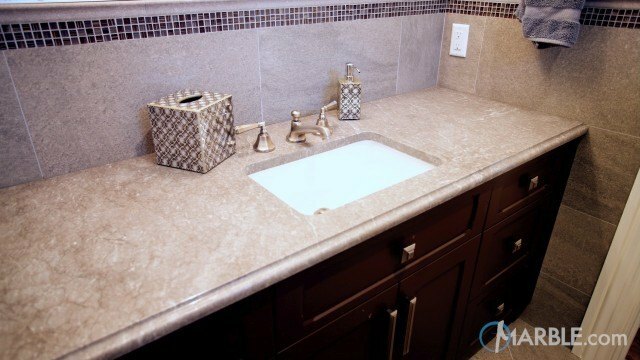 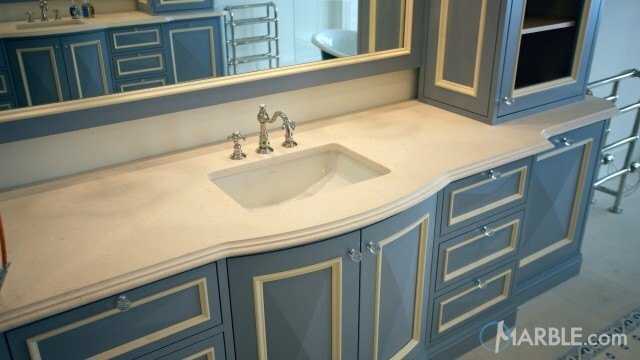 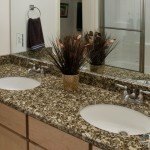 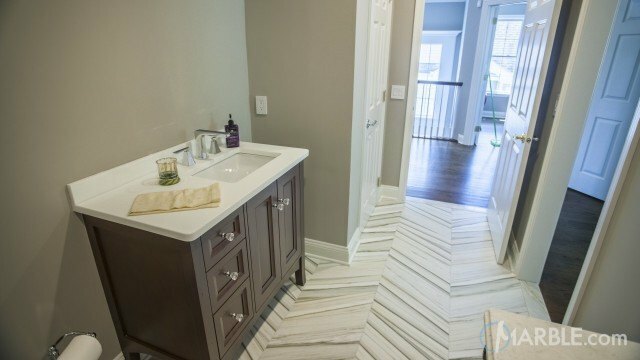 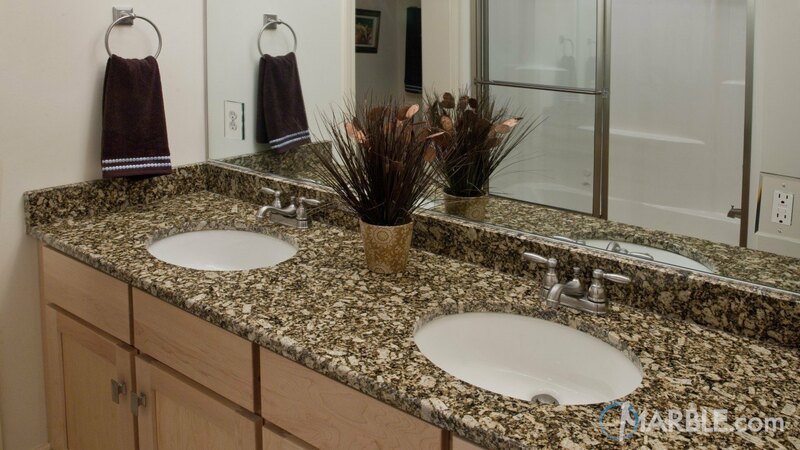 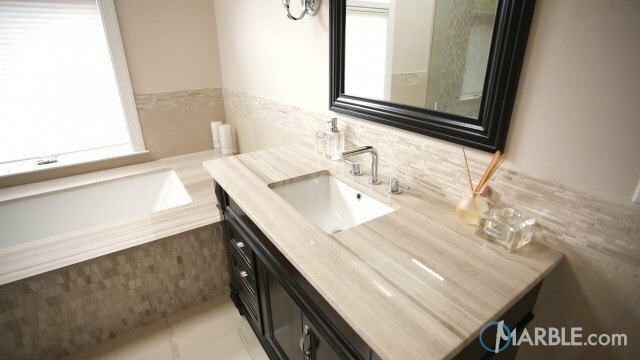 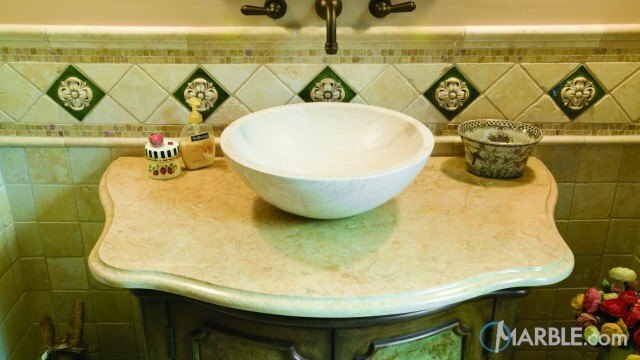 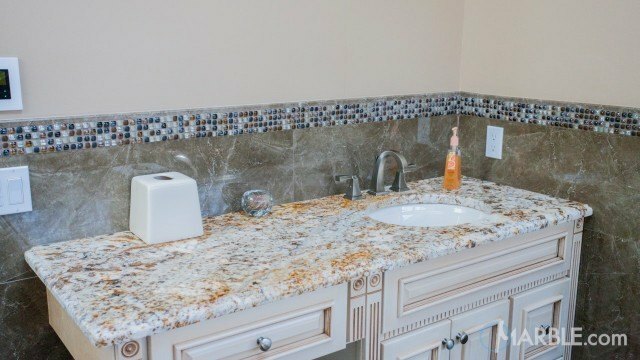 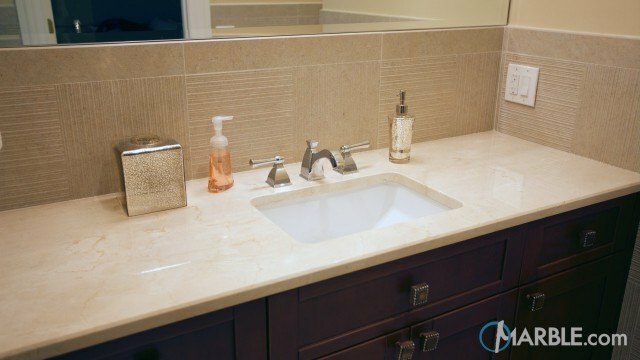 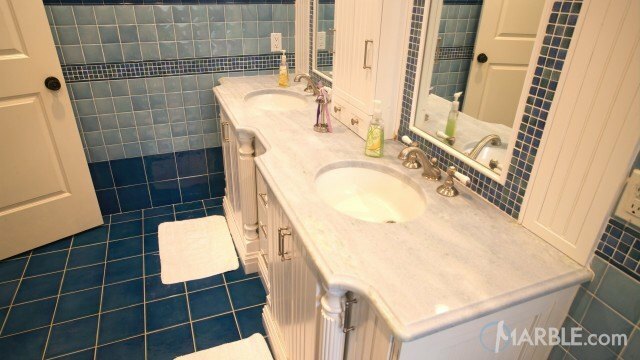 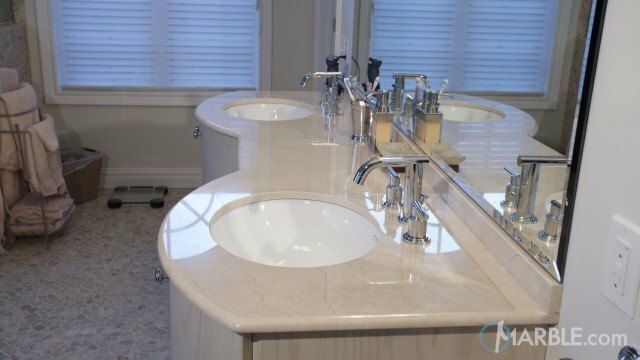 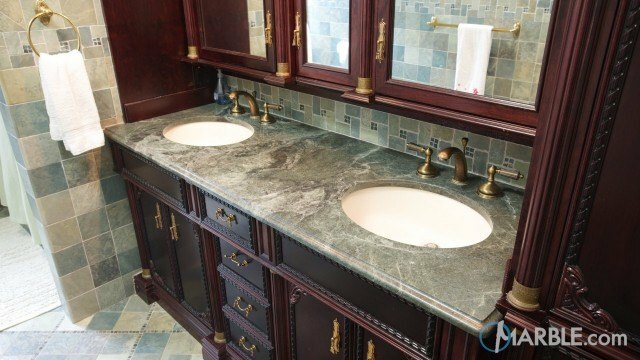 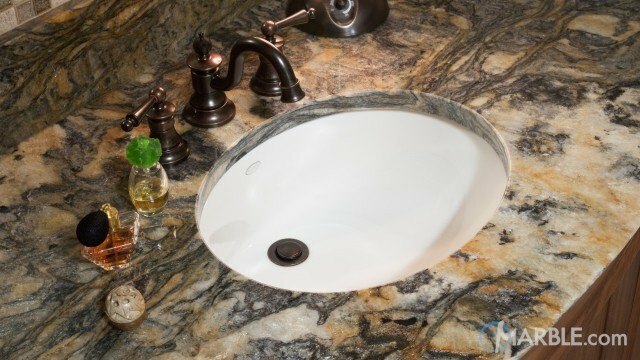 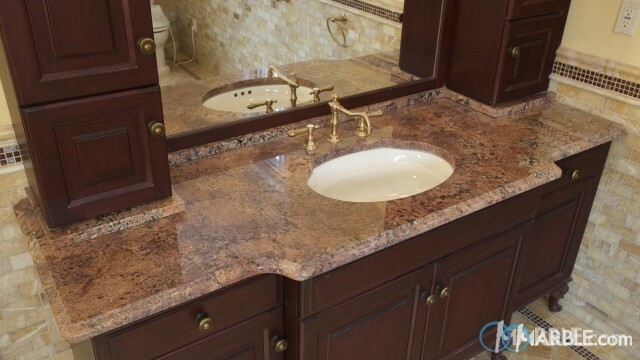 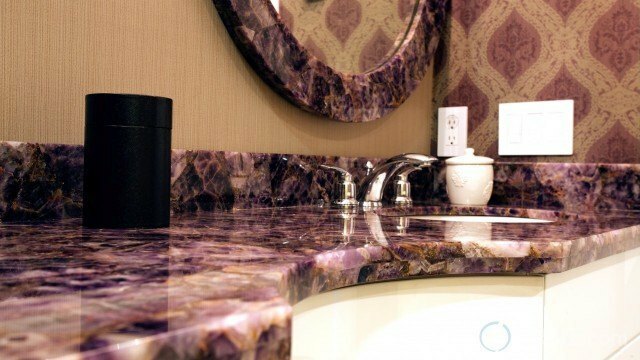 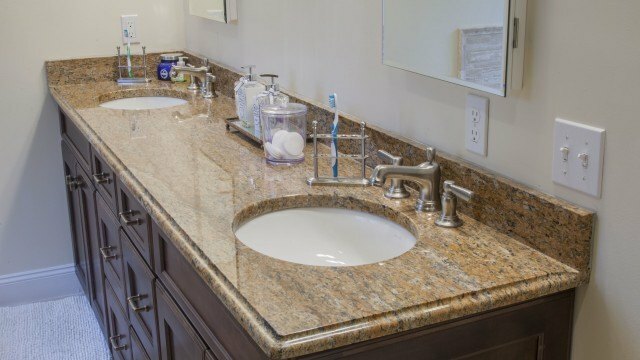 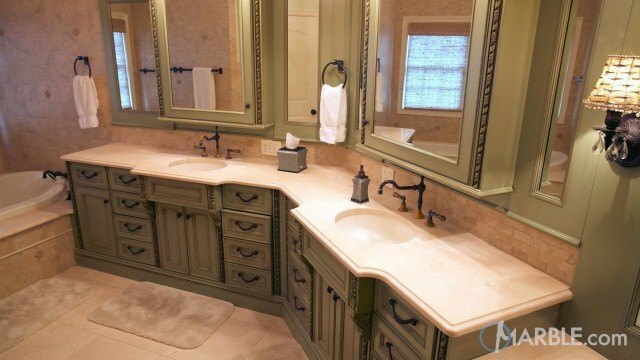 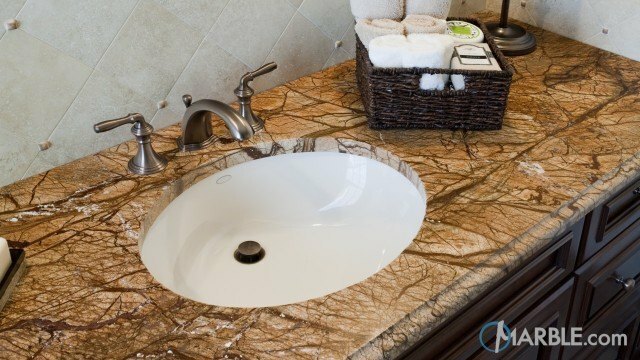 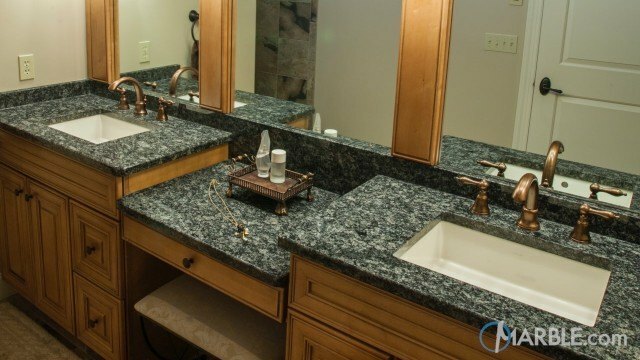 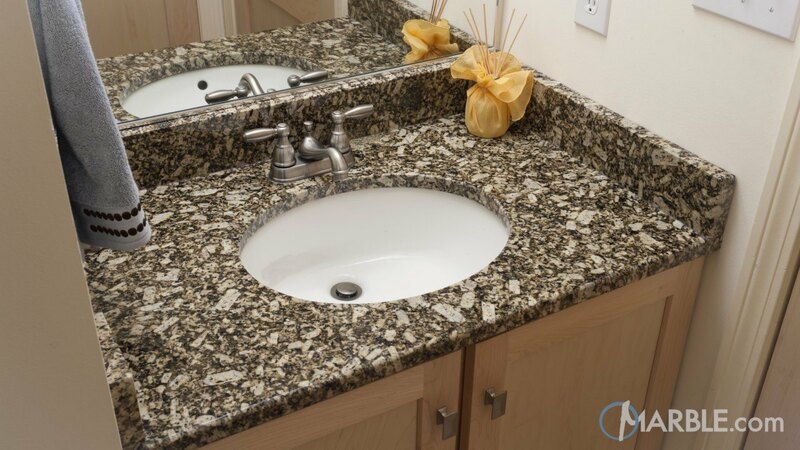 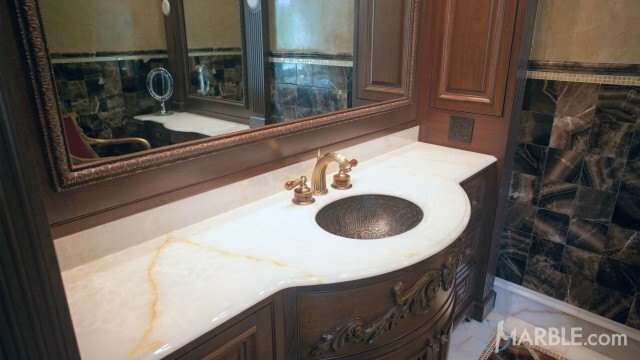 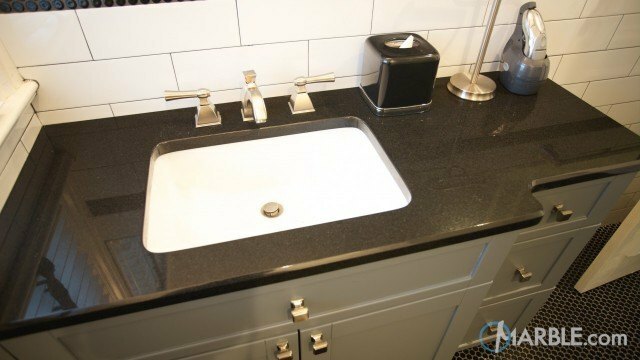 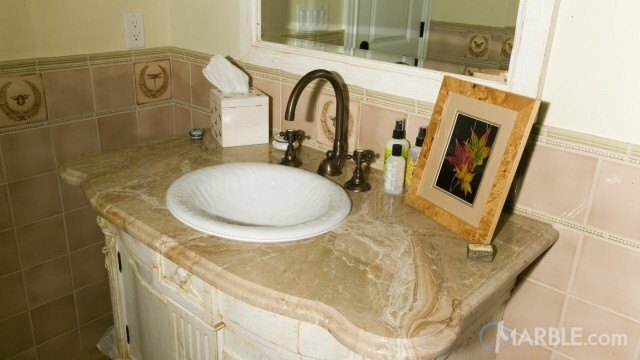 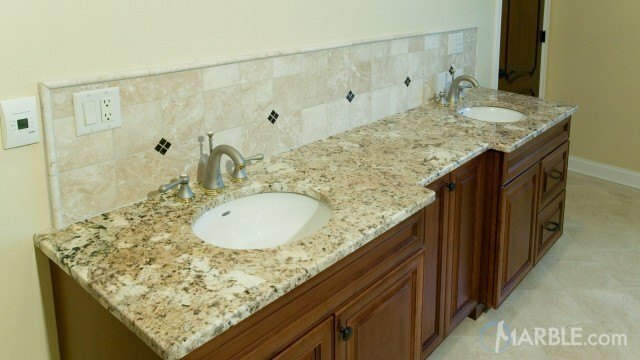 Florence Gold Granite is the centerpiece of this modern bathroom. 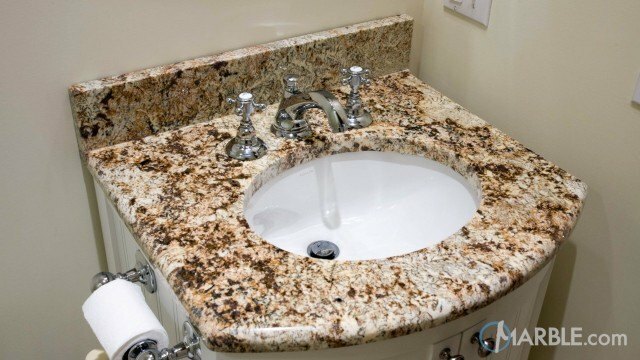 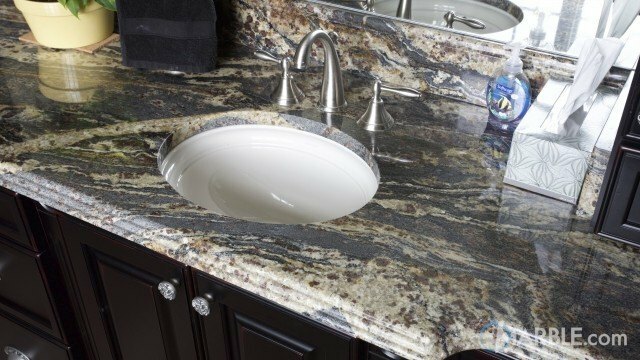 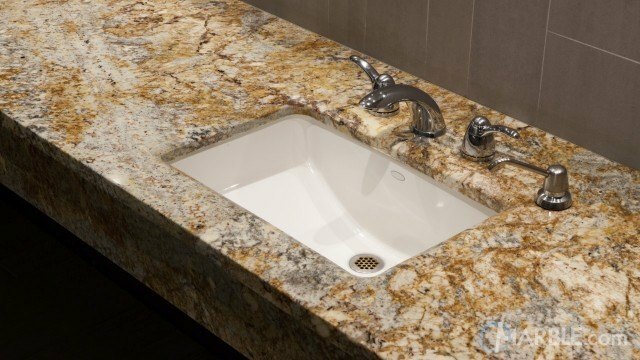 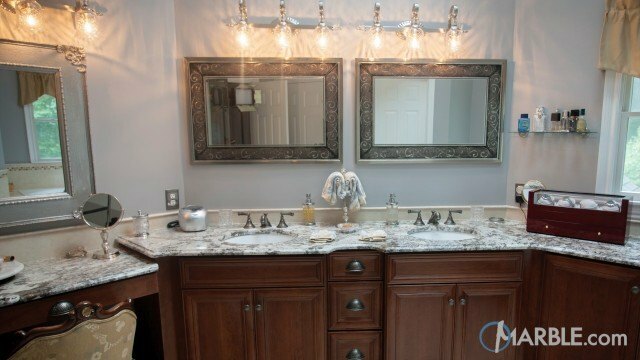 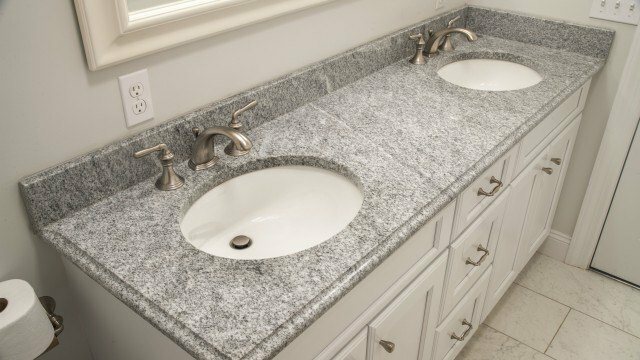 Brown and beige speckles play across the surface of the granite that surrounds his and her sinks. 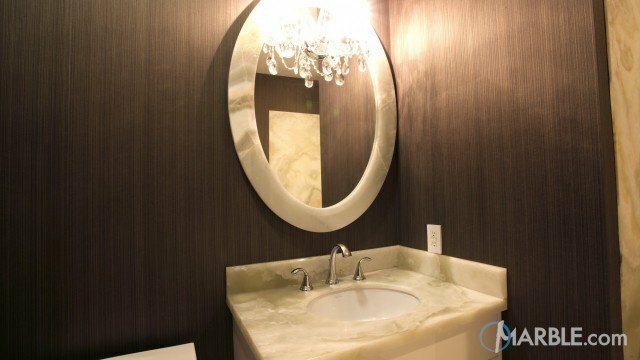 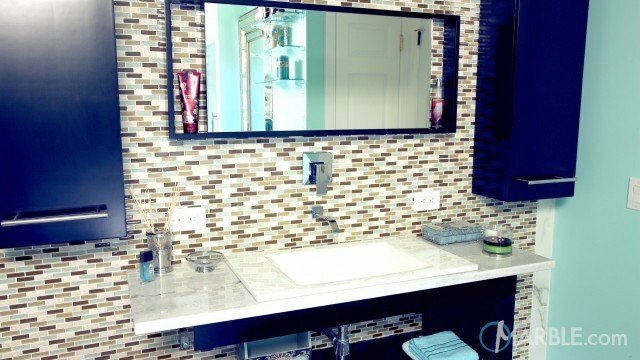 A large wall mirror opens the room and mirrored outlet face plates allow the surface to be only minimally interrupted. 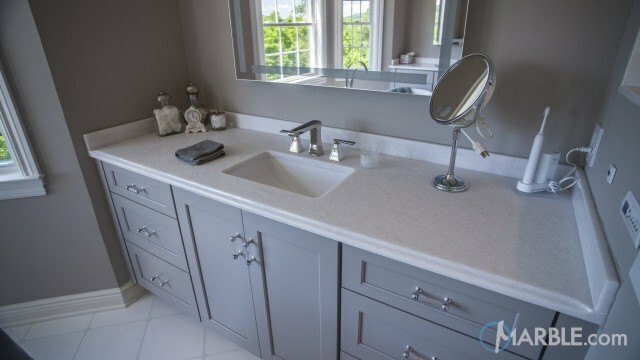 Light wood cabinets with modern pulls add some color and contrast to this contemporary room.